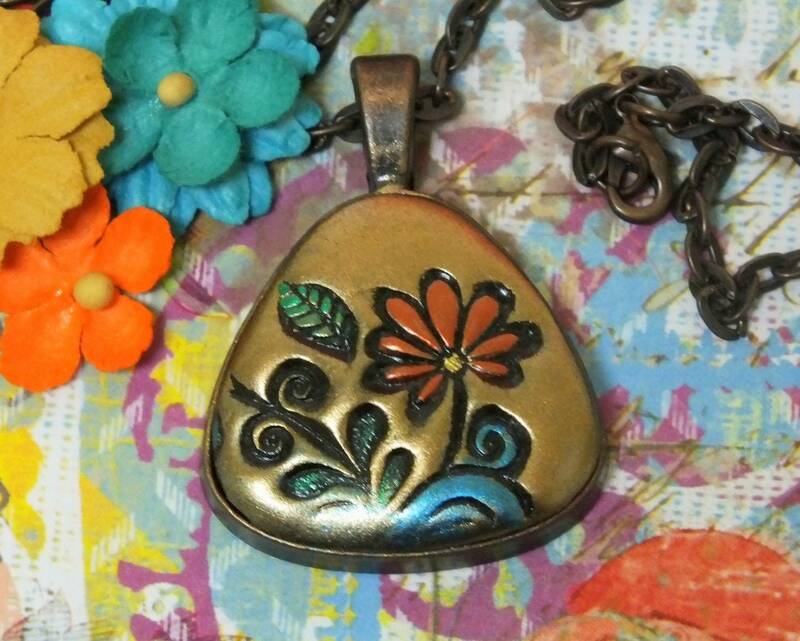 Orange Gold Copper Blue Flower Polymer Clay Charm Pendant Necklace. 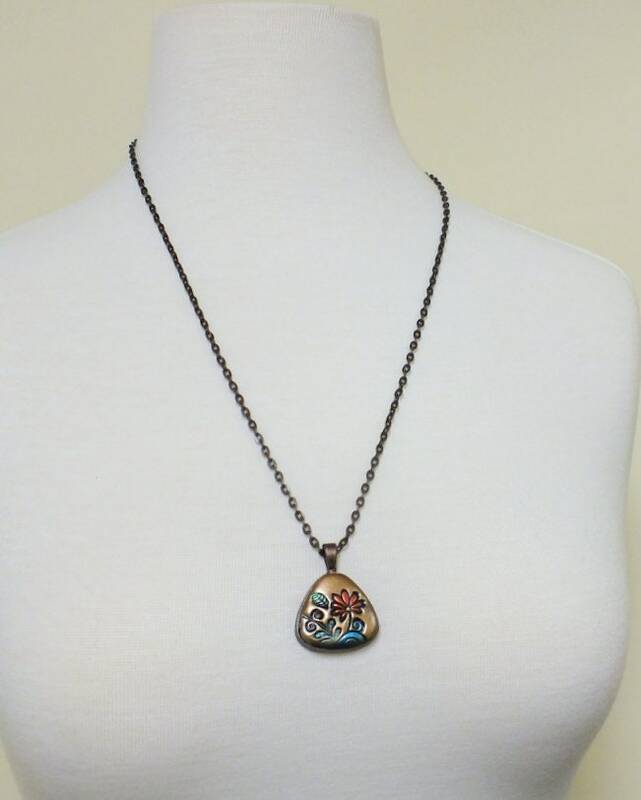 Hand stamped and painted with itty bitty brushes, polymer clay pendant with a triangle copper bezel tray. Finished with 2 - 3 coats of protective sealer for protection but please do not expose to water. 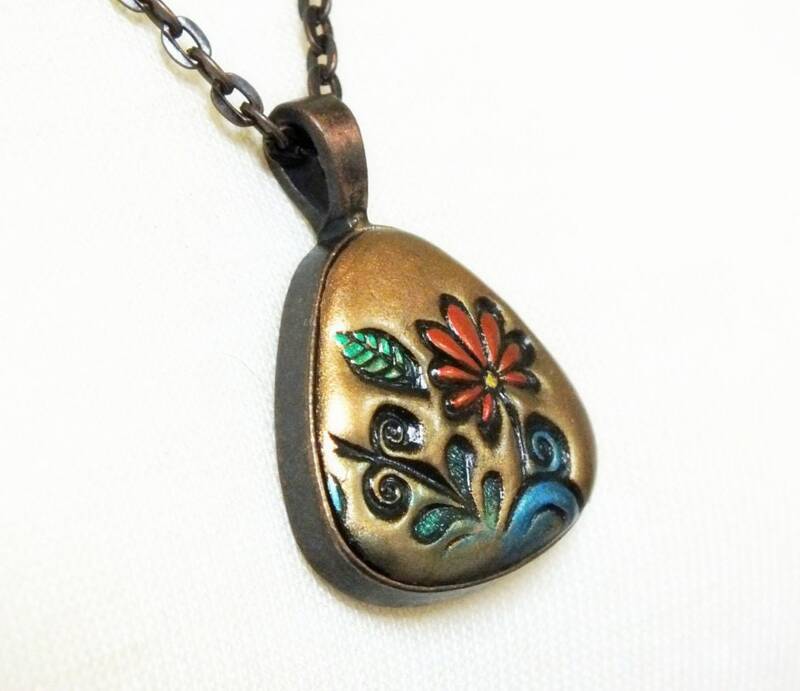 Use a soft cloth to gently wipe the clay pendant. 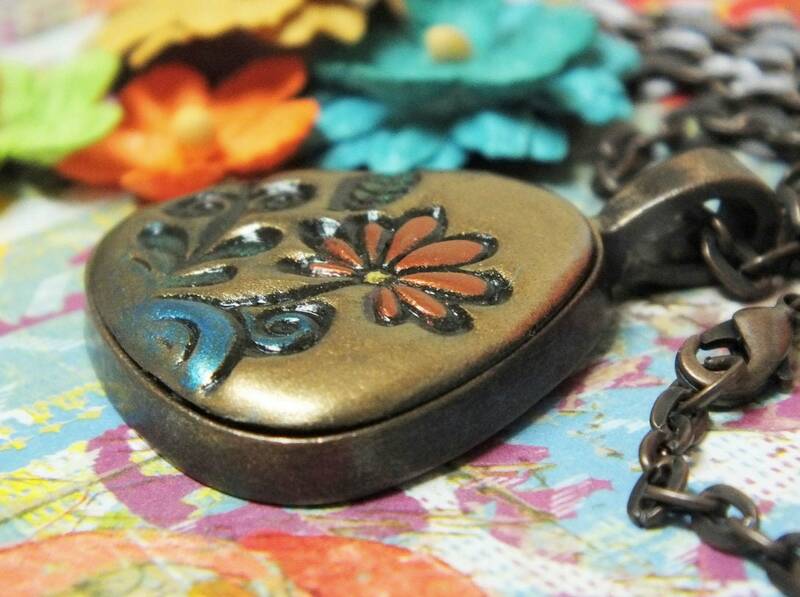 A jeweler's cloth can be used on the chain and metal tray when needed to keep it looking good. Size is about 1" x 1''. Chain is 24" long and closes with a lobster clasp. If you would like a shorter length, please leave a message to the seller on checkout and I'll be happy to adjust it.